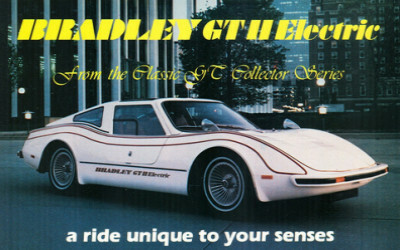 The Bradley GT II Electric car was built by Bradley Automotive company, based in Minneapolis Minnesota. They were creating kit cars which would bolt on to the top of existing Volkswagen Beetle cars. Bradley Automotive only 50 made of these in 1980.